Chicken, Henny, Rum Punch and good music? Sounds like a vibe. Pull up to Wingz and Tingz, a cultural mash up event for the culture. We're mixing hip hop and soca music, playing arcade games, and eating good food all night! 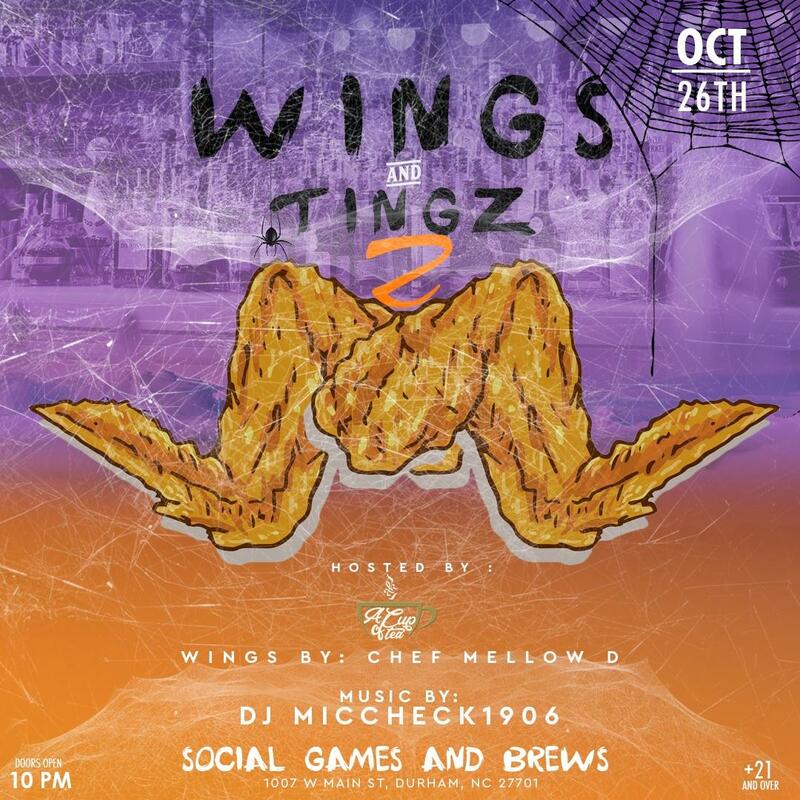 Wings and Tingz will be Featuring 4 flavored wings: Jamaican jerk, Honey BBQ, Lemon Pepper, and Fried chicken Wings for the culture.